Trade conferences represent a grand tradition that is alive and well in spite the internet. While some conferences may be on the outs, it is not indicative of the health of conferences in general. No conference lasts forever no matter how successful the run. There was a time when Tech industry professionals couldn't imagine a November without COMDEX in Vegas. Now, it is a distant memory. Today, it is CES in January. WWDC is one of the biggest developer conferences of the year. It is joined by Google I/O, Microsoft Build, and Facebook's F8. Conferences go away, only to be replaced by new conferences for a new generation. 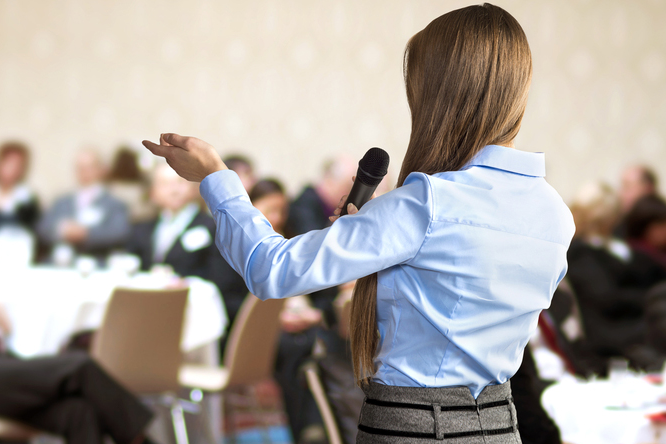 A custom app can turn passive attendees into active participants. Being a conference veteran, you will know that not all events are created equally. It is not always about the content being presented. More often than not, the difference between a useful event and a waste of time is all about how much you actively participated. Some events do a better job of pulling you in than others. If there is an app for the event, grab it. And increase the value you will derive from the conference. You have often heard it said that it is not about what you know, but who you know. That is never truer than at a trade conference. The whole point of going to the conference rather than streaming the information online is to meet and greet your counterparts at other companies, have conversations with decision makers, and to see and be seen by all of the people who matter in your industry. A person is more likely to take your call if they have fond memories of sharing a joke and having a drink with you at an engaging event. There are many great reasons to meet in person. Not the least of which is the ability to have conversations off the record. People who work in Silicon Valley cube farms will be far more likely to say things in person that they could never say over the phone at work. At a trade show, the conversational dynamic is completely different. An equally good reason to meet in person is to make a strong impression. Your winning smile and $500 shoes are not going to do anything for you over the phone. Business people like being seen. They don’t like taking phone calls. Having a better conversation and making a strong impression are just two of the reasons conference face-time is such a good idea. You need to know what the competition is saying and doing. You need to know what they are looking at, who’s courting them, and what they care about. You can learn this all just by being at the same conference. Off the record conversations between sessions and after hours are among the best times to learn what is going on with your competitors, and with the industry as a whole. You also need to know what vendors will be offering, and who’s buying. You can get a leg up by paying closer attention to the boring parts of the sessions where others take few notes. That bit of information that only you cared about could be the competitive advantage that makes the difference next sales season. Use an event app to increase engagement. Take advantage of every opportunity to see and be seen. And gather as much industry Intel as you can. This is why you go to the conference, and why conferences will keep going for a long time to come.